Home / Hotel branding • Scent benefits / What impact does scent memory have on the hotel guest experience? What impact does scent memory have on the hotel guest experience? The use of scent has a significant contribution to the hotel brand experience and is becoming an increasingly important factor in the hotel experience as a whole. The power of scent, and scent memory, in particular, is a key factor in enhancing the guest experience. Companies need to be aware of the potential that scent memory can bring to their guests and brand. With an awareness of scent memory, brands can take advantage of the opportunity to create memories and associations of their own. By using a bespoke scent throughout the hotel, guests come to associate the smell with that specific brand and their stay. This means when they encounter the hotel and scent again in the future, it will revive happy memories of their stay. This is what is referred to the ‘welcome home’ effect. Additionally, having a signature scent can establish strong brand association and unity across various locations in a chain. When a guest visits a hotel in another city or country, the recognizable scent will reassure them of previous visits. Thus providing a sense of comfort as well as linking the two places in the guests’ memory. A certain scent does not always have to be associated with the hotel. It can instead be used to reflect specific moods and experiences, or event create strong associations with the specific destination. Scent has been established as the sense with the strongest association with memory formation and recall. The sensory cue, when playing on associations, can create and conjure memories from a guest, and the emotions attached to that memory. Some scents have a strong association with pre-existing memories. For instance, a scent with notes of cinnamon, nutmeg, and pine will almost certainly be associated with Christmas. 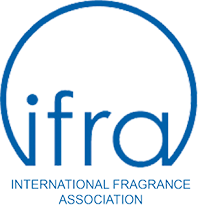 This means that a scent doesn’t have to be strictly affiliated to a brand. Instead, it can take advantage of pre-existing scent memories and associations and the emotions invested in them. By using scent, brands can create a memorable multi-sensory experience for their guests. As mentioned above, the power of scent memory brings a lot of potential in influencing the mood and memories a guest will associate with your hotel. People are expecting more and more experiential interactions with hospitality and retail environments. In today’s increasingly competitive market, more choices are now available due to peer-to-peer options. There is also more transparency thanks to comparison sites. Therefore it is becoming more important to offer unique experiences to entice savvy customers. Scenting brings one way to create these experiential stays and multi-sensory environments in an effective and effective way. Elevate your hotel brand with Premium Scenting – Contact us today!